The last place a professional athlete wants to see their name in the offseason is surrounding a potential trade. 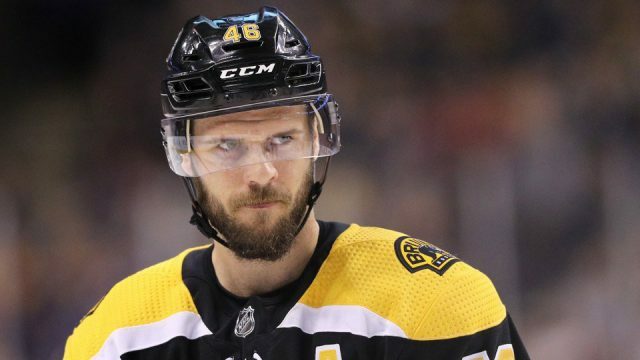 However, that’s exactly where Boston Bruins forward David Krejci found his name this summer as the Bruins made a pursuit for John Tavares. It seemed unlikely that the Bruins had any chance to sign Tavares, as the team would have had to move someone to create space under the cap. For some reason, Krejci’s name began to pop up everywhere as the guy to move. It was inevitable that the Bruins centerman would come across such rumors. Especially when people were sending messages to his private accounts. These messages certainly caused some speculation, but Krejci is happy to be back and get the season started. Krejci is putting all the offseason drama behind him and seemed thrilled to get back into the swing of things. “I’m proud to be a Bruin my whole career so far and want to keep it that way,” Krejci said.